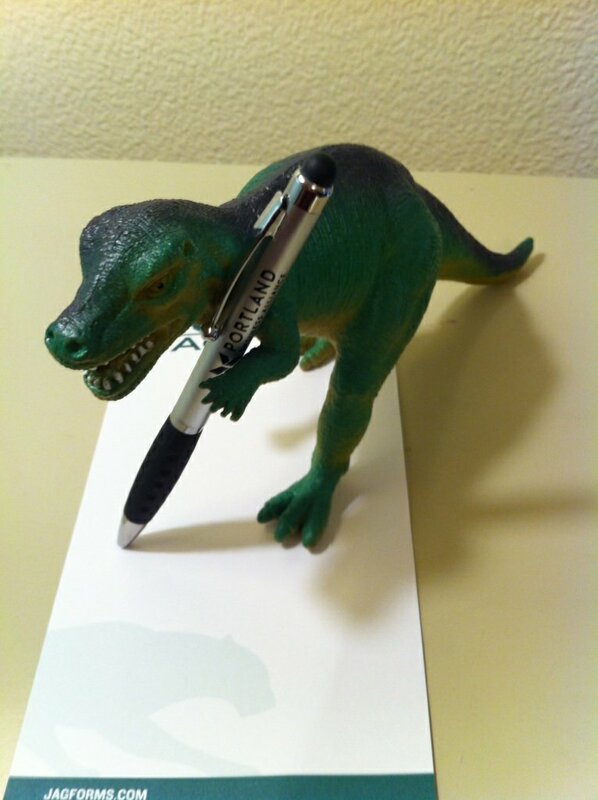 T-Jag loves pen/stylus combos, too! 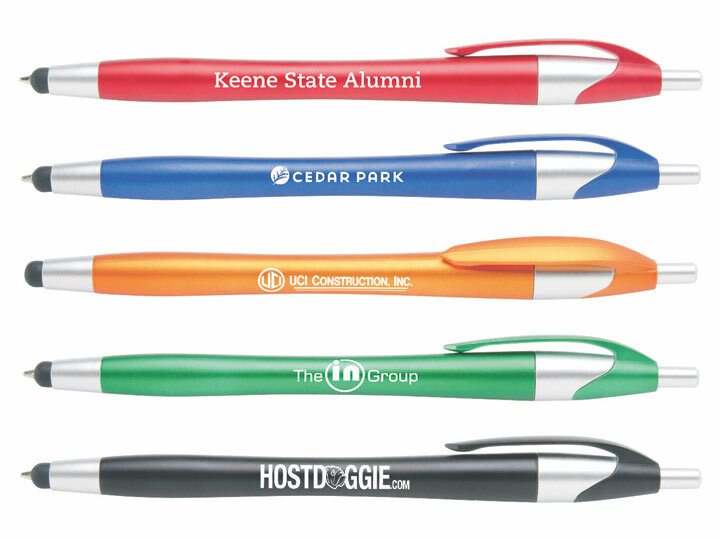 Pens are a perennial favorite among promotional products. 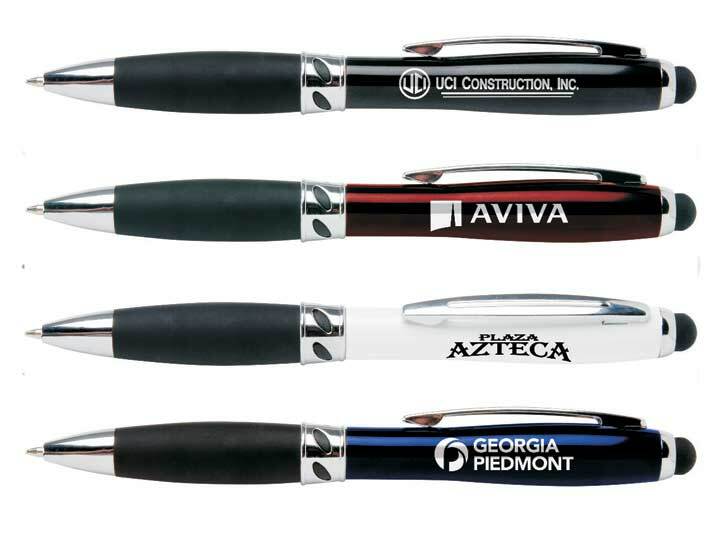 Sure, almost everybody gets customized pens — but a pen is ALWAYS a useful takeaway item. I mean, who turns down a free pen? No one, I tell you. No one. Even myself — I get gobs of pen samples all the time from our manufacturers, and I can tell you that I use all of them. And when I go to an event, and someone offers me a free pen, guess what? I take it. 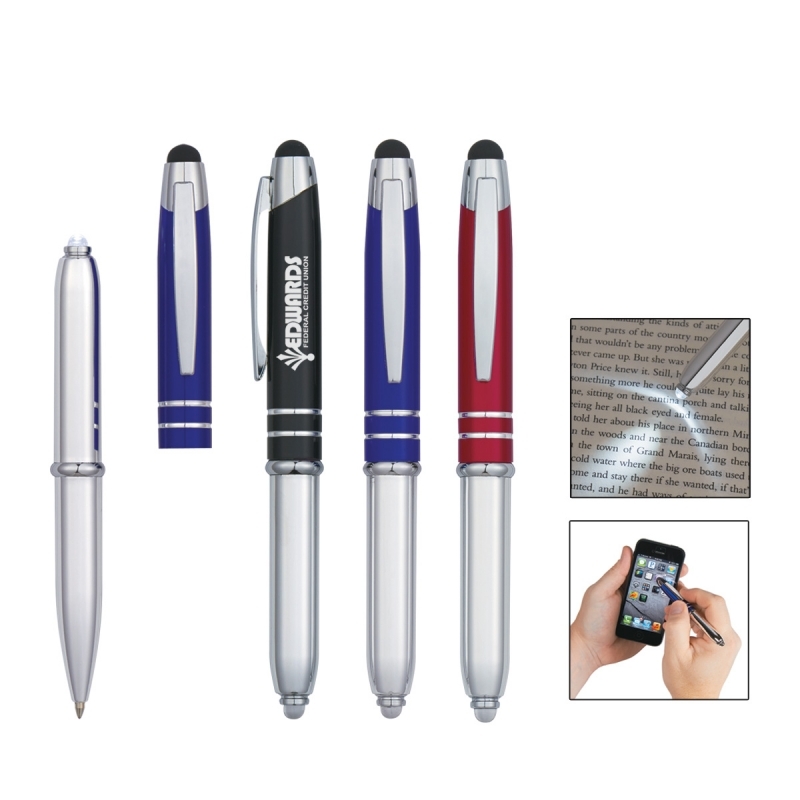 Because a pen will always come in handy. 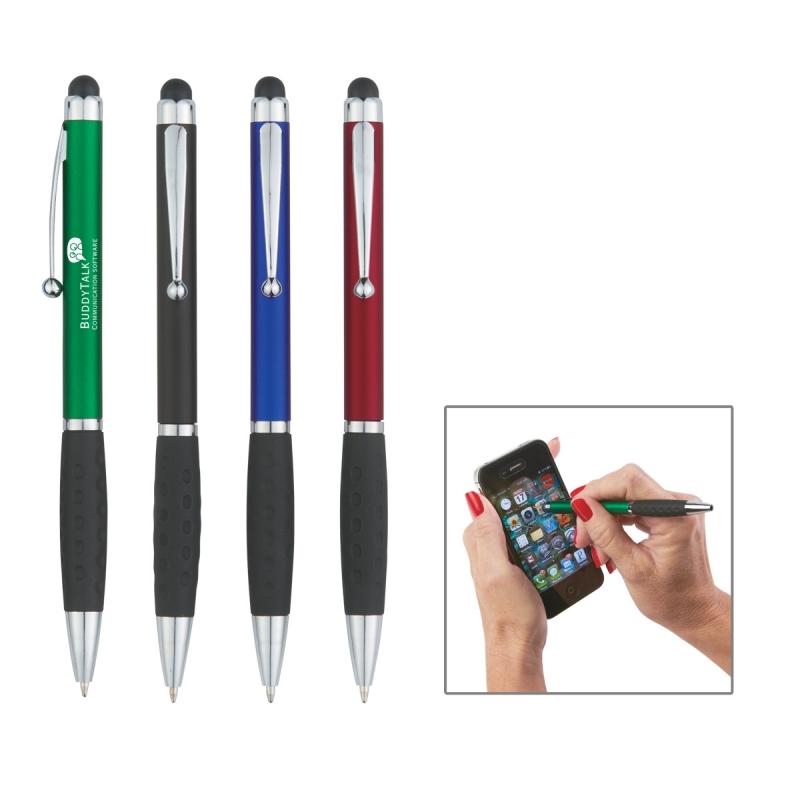 These days, however, a popular new trend in promotional pens is a pen/stylus combo — all the same perks a pen has to offer, plus you can use it with your touch-screen products, like tablets and smart phones. 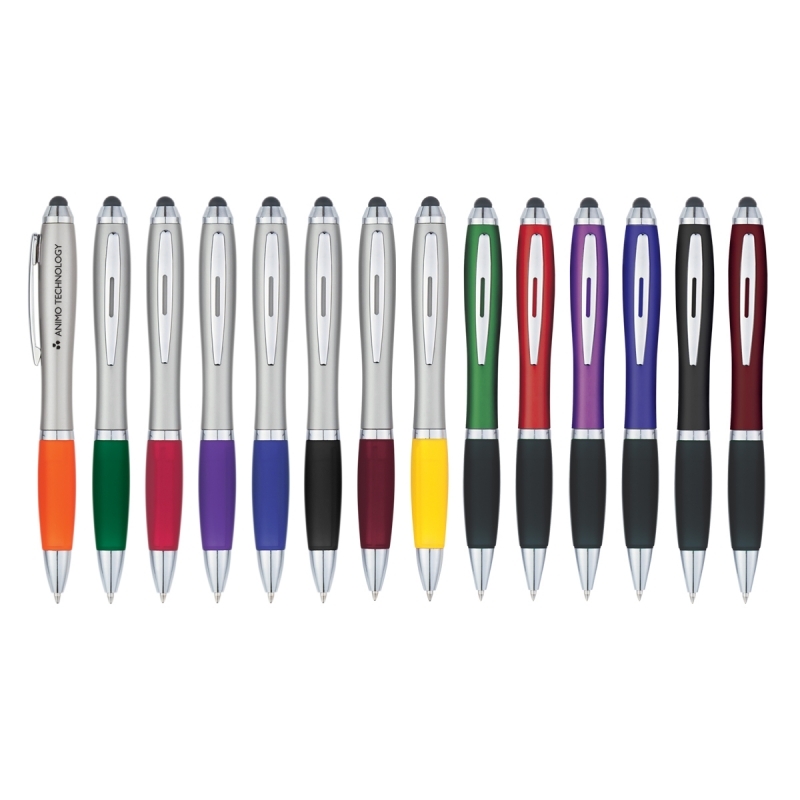 What’s more, the growing popularity of these pen/stylus combos has lead to a larger variety of style options at much better price points. Browse some of our favorite styles below — and give us a call, if you want to look into some for yourself!